One of the primary reasons students enroll in college is to improve their chances in the job market. For some, that might mean getting a new or better job. For others, the objective might be higher earnings. While students’ goals vary, one thing remains true: Too many students who take out loans do not earn a degree or do not earn enough to pay down their debt, and they face damaging consequences either way. In many cases, accreditors—the oversight bodies that are supposed to help prevent this—should be doing a better job. This year,* government officials will have the opportunity to hold three accreditors to a higher standard. The Center for American Progress, or CAP, has recommendations for how to do so. Before the federal government allows a college or its students to access federal grants and loans, the college must first be given a stamp of approval from a federally recognized accrediting agency. These independent nonprofit organizations determine whether colleges offer programs of sufficiently high quality to access federal student grants and loans. They also help colleges improve performance. As both gatekeepers for federal money and arbiters of college quality, accreditors have an enormous impact on both students and taxpayer dollars. To be reapproved every five years by the federal government and the National Advisory Committee on Institutional Quality and Integrity, or NACIQI, accrediting agencies must prove that they are successful at measuring college quality. One of the primary standards accreditors must meet is to show that they measure a college’s success on student achievement, such as measuring how often students graduate and find jobs. But far too often, these agencies fail to adequately measure student success. NACIQI—a federally appointed panel composed of members chosen by the House, Senate, and the U.S. secretary of education—has the power to deny recognition to an accreditor or demand improvement. NACIQI will meet in June and December* to reapprove numerous agencies. CAP submitted concerns in public comments last week on three accreditors that do not place enough emphasis on how students fare, summarized below. The Distance Education Accrediting Commission, or DEAC, primarily accredits online for-profit education programs. It is responsible for 47,000 students at schools that receive federal financial aid and are subject to federal oversight. But that is only a small fraction of DEAC’s oversight work. The accreditor also monitors the education of more than 1 million students at colleges that do not access federal financial aid. This is important because there is very little public information about colleges that that do not use federal student aid programs. However, the government and taxpayers still have a great stake in these colleges. For example, DEAC specifically targets veterans in recruiting, and many of the 1 million students enrolled at DEAC-approved institutions are receiving veterans’ education benefits. There is also at least some evidence that these colleges may offer riskier private student loans. Of the colleges that do access federal student aid dollars, students can take out federal loans for things such as online gunsmithing, hypnosis, or a master’s degree in aromatherapy. As a federally recognized accreditor, DEAC must prove that it holds all its colleges to the same standards on student outcomes. Yet the agency does not collect much information on performance and, as a result, largely operates in an information vacuum. To make matters worse, the agency has low graduation standards. For example, to be deemed successful by DEAC, a college must have a graduation rate above 32 percent in distance education. This level of performance is not acceptable, particularly with little information on student success after enrollment. CAP recommends that the U.S. Department of Education and NACIQI give DEAC a one-year extension and request that the agency return with a compliance report that fixes serious data limitation problems. For more details, see CAP’s full comments here. The Southern Association of Colleges and Schools Commission on Colleges, or SACS, is the second-largest accrediting agency, serving almost 5 million students and receiving $32 billion each year in federal student aid. Unlike other regional agencies, SACS does not appear to identify, collect, or analyze key data indicators on student achievement as required under federal regulation. SACS leaves it up to institutions to decide what student achievement data to submit. Most other regional agencies require colleges to submit data on specific outcomes. For example, the Western Association of Schools and Colleges, or WASC, Senior College and University Commission requires all colleges to submit retention and graduation rate data annually. CAP’s review shows that SACS’ failure to identify or collect key data indicators results in institutions cherry-picking what information they submit as evidence of quality. In one example, a college submitted data on exam pass rates and job placement but did not submit information on other areas where it performed poorly, such as its 19 percent graduation rate. It is not clear if SACS requested more information, but it reapproved the college shortly after review. This and other examples are concerning because the agency does not appear to have consistent success standards. It cannot help institutions improve if it does not establish a baseline of performance on key indicators to compare performance. Regulation also requires that agencies include members of the public on their boards. The public plays an important role by offering a voice that is neutral and uninhibited by conflicts of interest. However, at least two of SACS’ public representatives are employed as president of the private college trade association institutions in their state. These members cannot be public representatives if their jobs entail representing schools that SACS oversees—and getting paid to do so. As NACIQI and the department review SACS’ application for renewal, this information should be taken into consideration. At a minimum, SACS should explain how it defines success. It cannot ensure that students are well-served or help institutions improve if it does not measure institutions in a way that is rigorous, consistent, and fair. The full comments can be found here. Similar to SACS, the Middle States Commission on Higher Education, or MSCHE, does not appear to identify, collect, or analyze key data indicators on measures of student achievement as required under federal regulation. Instead, it allows institutions to decide what data they submit in their evaluation. Again, this is concerning because it suggests MSCHE does not have a consistent way to measure outcomes and does not establish a baseline of performance across institutions. NACIQI and the department should require MSCHE to answer how it defines success in a way that is rigorous, consistent, and fair. CAP’s full comments can be found here. 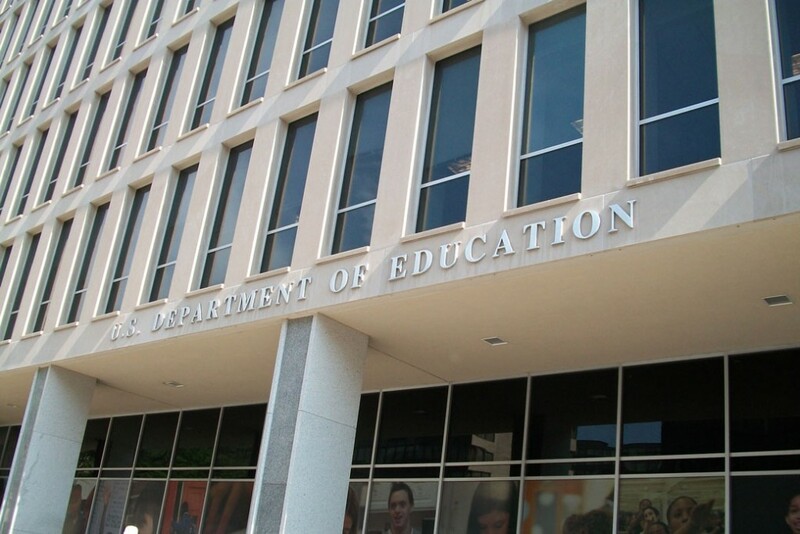 As NACIQI and the Department of Education review these three agencies’ applications for renewal, these concerns should prompt additional scrutiny. Without adequate information on how students fare after enrolling, accrediting agencies cannot help colleges improve and, more importantly, cannot determine whether a college offers an acceptable level of quality to access federal money. Students and taxpayers deserve better. Antoinette Flores is a Senior Policy Analyst on the Postsecondary Education Policy team at the Center for American Progress. * Correction, March 23, 2017: This column was corrected to reflect that NACIQI will review renewal applications in both June and December this year.